This week, we’ll look at the advertising shoot I did on the 20th. I’ll be using it to demonstrate how to get a good white seamless background in your photographs. It isn’t hard to do, but it does take a good understanding of exposure and the use of a light meter. The model needs to be positioned at least 4 feet from the backdrop. Closer and you’ll get light reflected back onto the model from the backdrop. The closer the main light is to the model the softer the light will be, so move the light to achieve the amount of softness you want in the light. The basic equipment you’ll need are two lights that are capable of covering your background, a main light and a hair light. 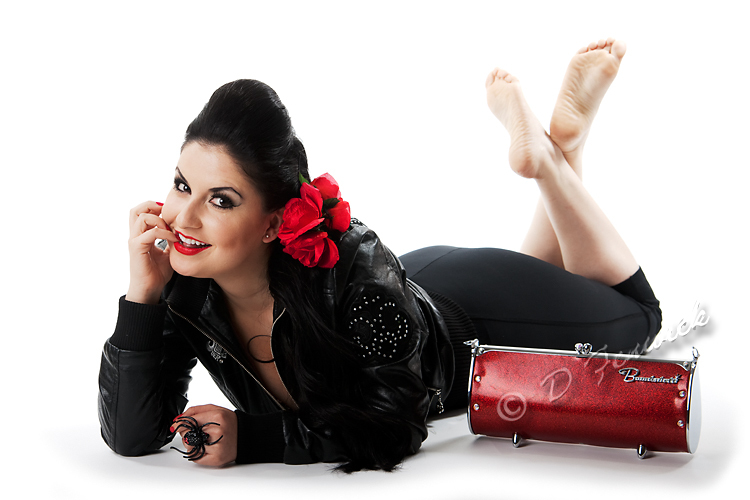 The background lights can use softboxes, umbrellas or open reflectors as long as you get enough coverage from them. Set them so they throw light on the background, not your subject, use a gobo if you need to in order to keep the light off of your subject. In order to set the amount of light you need, determine what aperture you want to use shooting your model. The main light in my setup is 10 to 45 degrees to the side of the model. (In this case, I started with it close to camera access and then moved it to camera left to get the shadows I wanted.) The center of the light should be a bit above the models head to get the shadows I wanted. Note: be sure to move the light down if you go from having the model standing to lying on the floor or sitting. Be sure this light is a full stop below the background lights. To verify this take a meter reading of your main light from the model’s position. The hairlight is the last light I set. I put it up high and aim it down at the model’s hair from behind. If the model has light hair, it may be equal to or a bit lower than the main light. For really dark hair, I find I like it from 1/2 to 1 stop brighter than the main light. This gives a good highlight without blowing out the highlights completely. 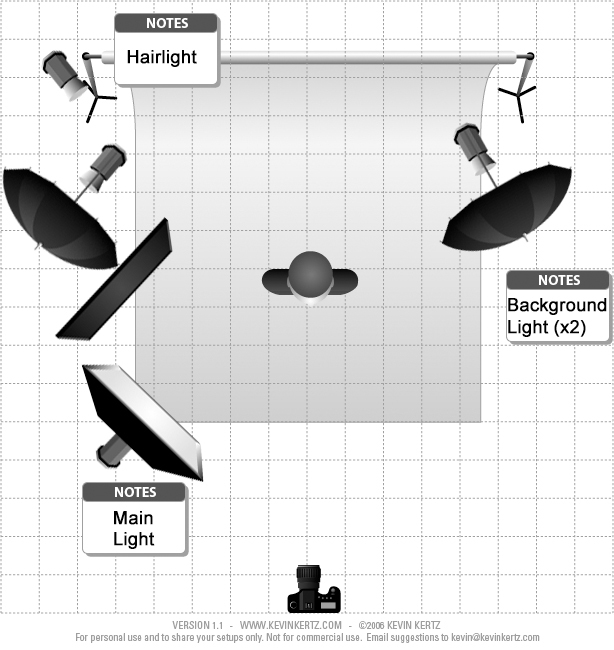 In the above diagram, the backdrop is 7 feet wide, the model is about 6 feet from the backdrop, the background lights are between 3 and 4 feet in front of the backdrop and there is a gobo between the model and the left background light to keep spill off of the model. The main light is 3 feet or so from the model and the hairlight is 8 or 9 feet from the model. The main light was set to f5.6, the background lights and hair light were set to f8. The following pictures are from the advertising shoot. They aren’t the picture that was finally chosen, but there are ones the model and I liked. I also want to give you an update on Project 52. I have completed the 4th week assignment and am showing one of the images below. We were given a magazine cover layout and asked to shoot to fit it. 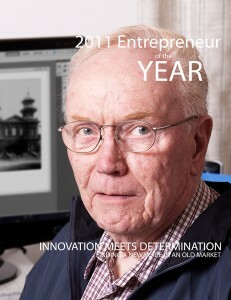 The picture had to be a person (in this case, representing the idea of an entrepreneur.) The next assignment has started and I am hoping to get some images for it this weekend. See www.project52.org if you are interested in the projects. In the near future I am planning posts on photographing water drops and a review of a BlackRapid product. 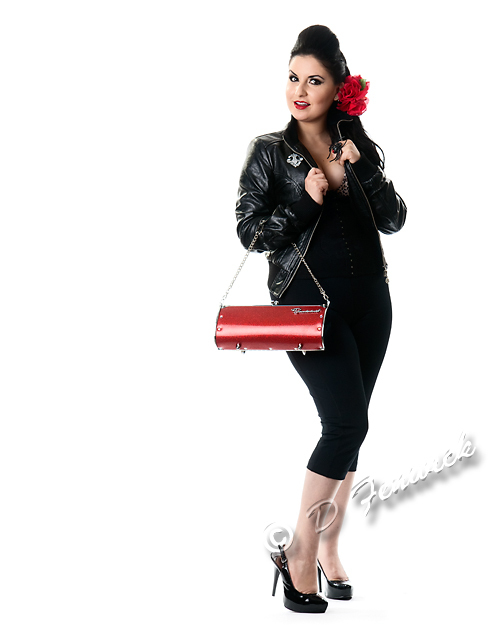 This entry was posted in Photo How-to, Photos and tagged Pinup, Seamless How-to.